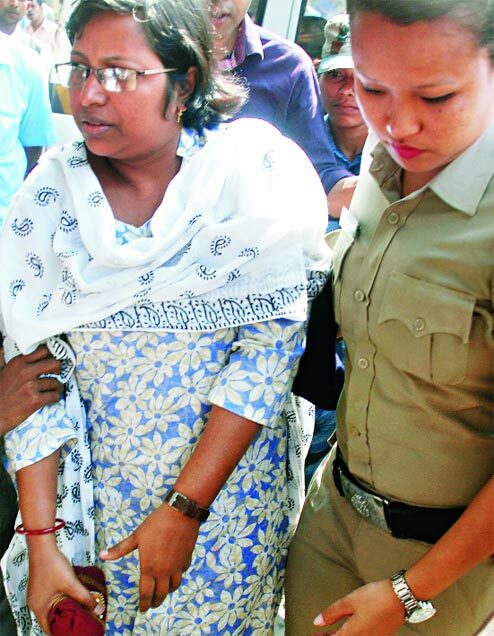 Sashmita Ghosh, the former district child protection officer of Jalpaiguri who has been arrested for her alleged links with a baby sale racket, today said her senior officials should also be questioned by the investigators in the case. Sashmita was produced in the chief judicial magistrate's court in Jalpaiguri today by the CID. The court has remanded her in police custody for seven days. After coming out of the court, Sashmita said: "I have delivered my responsibility as per government rules. If I have done anything wrong in my work, then all those who had given me instructions should also face interrogation. I am not passing the buck but want to clarify that I have not done any mistake. There is no reason to implicate me in the case. I have sent children to the home which is approved by the government." "Also, I had not made any decision on my own and had just followed the instructions. I have submitted necessary reports to the civil and police administration on some of the issues," she added. The children were allegedly sold from an orphanage run by the NGO of the main accused, Chandana Chakraborty. A two-member team from the National Commission for Protection of Child Rights reached Jalpaiguri today and visited Bimala Sishu Griha, the orphanage run by Chandana. Priyank Kanungo and Yashwant Jain, the team members, found 419 cetirizine tablets at the home. "The anti-allergic tablets are meant for adults. The tablet sooths nerves and creates a drowsy feeling. We suspect the tablets were administered to children who stayed at the home," said Jain. In Calcutta, the BJP women's wing, Mahila Morcha, today staged demonstrations outside the Assembly gates over several phases between midday and 1.40pm, demanding a CBI probe into the baby sale racket. The north gate of the Assembly, which is the designated gate of entry for the Speaker, the chief minister and other ministers, was blocked four times and the south gate, which is the entry gate for Opposition legislators, once. Kalpana Burman, the wife of Hiten Burman, the Trinamul MLA of Sitalkuchi, said on Tuesday that she would not send any of the 12 girls at a shelter run by her NGO at Mathabhanga to any government home.